Volrammos. Thats the spanish word for summer vacation. And in Sweden it is definitely summer vacation at the moment (even if the weather, as usual, do not agree). As you may see, im left alone to run this mess while the others are having fun elsewere. 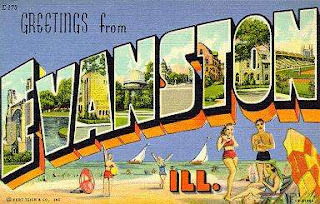 Evanston for example, where our good friend Ruben is at the moment, painting aquarelle-paintings and trying to find his vibe again. So, to make this post just a little bit worthy of your seconds, of course i have added a song. Its from the brand new (kind of) album Cosita Buena by Cuban hiphop-latino-carribean-world music-(God, do i hate that word? yes I do) group Orishas and it is sweet, summery, latinoish and promises of better places to be than Stockholm - who just stole the title "City of Wind" from Chicago. Sorry Common, sorry Kanye!